Something a little different: two CDs from Rhymoi Music and one from OUR Recordings featuring Chinese classical music. To listen carefully to the three hours of music on these beautifully-produced CDs is to be aware of as many similarities between certain Western traditions and the wind, string, vocal music respectively of Chinese Recorder Concertos, Masterpieces of the Chinese Qin from the Tang Dynasty to Today and Dream of An Opera I & II as of the differences. A spareness and distillation of content in the service of focused communication is common both to the recorder and qin (zither) as well as the solo works from the medieval and modern periods to say the least. Concern for spectacle is common to many operatic and choral traditions. An emphasis on introversion exposed in the interests less of bravura than of expressivity can be found both in the Western Romantic Lieder repertoire and several of the genres represented here by Meng Qinghua and Zhao Jiazhen – not to mention the lais of France of the middle ages and even the solo piano music of Beethoven and Schubert. Yet it is neither necessary nor appropriate to evaluate the music from three very different Chinese musical cultures in terms of Western music. But if you're totally unfamiliar with their idioms, such comparisons might be good grounding posts at which to start. The style of music in this selection with which most non-aficionados of Chinese music will be most familiar is to be found on Chinese Recorder Concertos (OUR Recordings 6.220603), where Michala Petri plays recorder in four modern concerti with The Copenhagen Philharmonic Orchestra conducted by Lan Shui. Fei Ge ("Flying Song") by Tang Jianping, who was born in 1955 contains much beautiful and atmospheric music with many Western orchestral techniques, though has the aura at times of film music. The best known of these composer is Bright Sheng (b.1955), who has has lived in the United States since 1982 and is a member of the faculty at the University of Michigan. His Flute Moon is in two movements and driven by dance rhythms and Stravinskyan insistence on forward movement. More conventionally Chinese-sounding are the two works, the "Bamboo Flute Concerto" by the oldest of the composers represented here, Ma Shui-long (born in 1939) and "The Ancient Chinese Beauty" by Chen Yi (the only woman composer, born in 1953 and a classmate of Bright Sheng at the Beijing Central Conservatory in the late 1970s after the end of the Cultural Revolution). In all cases the playing of Petri is impeccable, though she is not recorded so closely as to afford us a clear hearing of all the nuances written for the recorder. That's a pity. The orchestration, skillful though it is, swamps the recorder, especially in the louder passages. At times – in the work by Tang Jianping, in particular – there is little except some vaguely modal writing and an emphasis on the more plangent tones of which the solo instrument is capable to suggest a thoroughly Chinese métier. But this should not be seen as a drawback: the composers' aims were specifically to blend Eastern and Western traditions, using melodies and musical theories from China with techniques of orchestration and instrumentation from the West. To that end this CD can be taken very much at face value and not necessarily as an entrée into to Chinese music. This CD does consciously represent a push to make the traditions of the older musical culture available and enjoyable to Western audiences. The recorder's gentle and expressive qualities and sound approach so closely the natural breath rhythms of human beings (listen to the slower passages in Flute Moon [tr.5], for example). So it's well-placed to convey the essence of this world. And all the more so when in Petri's hands. The second CD in this batch is much more single-minded in presenting authentic Chinese-only music. Masterpieces of the Chinese Qin from the Tang Dynasty to Today contains over a dozen pieces that date from as far back as the second century CE – indeed several from the time when Europe was in turmoil after the fall of the Roman Empire, the "Dark" Ages – right up to works written in the late 20th century. They're played on the qin (pronounced, roughly, as "chin"), which is a venerable, 2000-year old, Chinese, seven-stringed (ideally silken) long, low box whose tuning is pentatonic; the qin has a complex and highly-specific system of tablature and is less "forthright" than the pipa. For the most part these are ethereal, gentle and understated works. It's easy to admire the musicality, interpretative as well as technical, of Zhao Jiazhen, in whose hands they are transporting. Each piece is infused with sentiment yet detachment in order for the essence of the music to be conveyed. Phrasing is neither histrionic, nor perfunctory. Concentration is required, though: the distilled nature of both melody and texture is subtle and seems almost fragile. Not as though you're overhearing the music. But as though its delicacy would be withdrawn if not heeded. Dream of An Opera I & II is mid-way in aesthetic between the modern concerti on OUR Recordings 6.220603 and the qin music on Rhymoi Music RMCD-G014. The, again, beautifully-produced booklet that comes with the equally acoustically-rich CD gives little away to a non-Chinese reader. 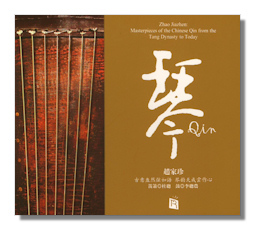 It's a collection of ten excerpts from traditional Chinese operas arranged for qin and other traditional instruments by one of China's best known opera composers, Meng Qinghua. This has been done to promote familiarity with the genre by non-specialists and those who might otherwise be intimidated by it. That's a good and noble aim. Ultimately, though, the CD is not so satisfactory as its aura might suggest it would be. None of the extracts lasts more than five to seven minutes. Yes, that makes for a good introduction. But little more – unless to spur you into seeking out an opera in its entirety. And the originality and variety of that genre is certainly beyond dispute, as these tracks testify. Each of these CDs is worth a look – either if you want an introduction to contemporary Chinese music, one of whose aims is to draw on Western as well as Eastern traditions (start with the recorder concertos). 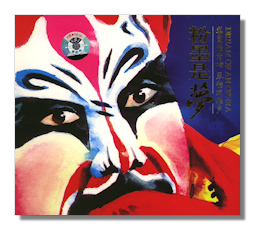 And/or if you want to explore the otherwise as yet untapped repository of traditional Chinese music (the Masterpieces of the Chinese Qin); and the riches of Chinese opera (turn to Dream of An Opera). In all cases you'll be struck by the high quality of recording, the exceptional standards of presentation… beautifully-produced boxes and booklets with sumptuously illustrated texts. With the one exception of the recorder's lack of presence mentioned, sound quality is superb. Copyright © 2010 by Mark Sealey.